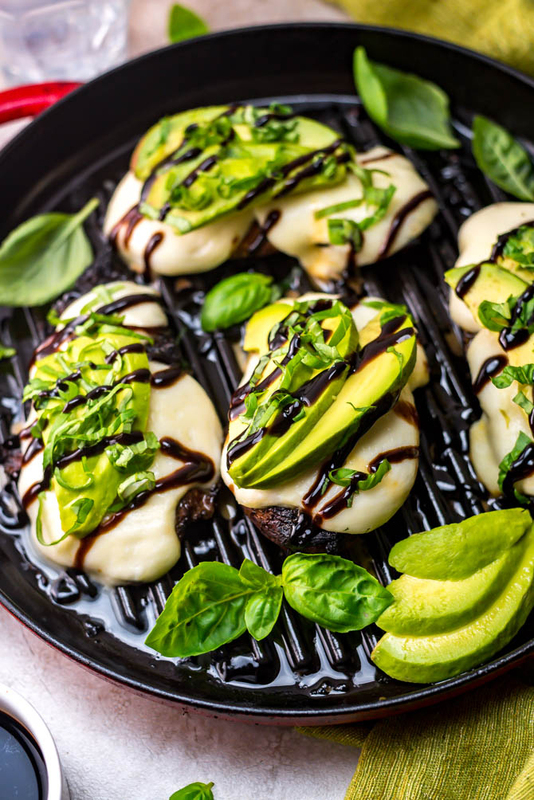 A sweet and tart balsamic vinegar marinade, melted mozzarella cheese, tender grilled chicken, creamy avocado, fresh basil, and a balsamic drizzle come together to create a delicious, easy-to-make dinner. 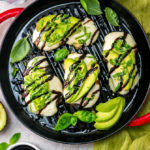 Make this Grilled Avocado Balsamic Chicken on the grill on a summer evening, or on the stove top when it’s chilly out. Your family is going to want to eat it year-round. Over Memorial Day weekend, I celebrated my best friend and college roommate’s birthday in Cape May. The beach house was beautiful but the weather was not, so we spent absolutely no time soaking up the sun at the shore. Instead, every time the clouds cleared up for a few seconds, Jackie and I rushed outside to grill some food for the overfilled house of friends. We ate a lot, as we tend to do when our usual plans fall through. As you’d expect for a Memorial Day cookout, there were plenty of hot dogs and hamburgers, but this was Jackie’s beach house, so no ketchup was allowed in. She has a strict no-tomato-product policy wherever she goes. Not because she has an allergy or anything, but because no one in this universe hates tomatoes as much as Jackie. It is a deep and burning and slightly frightening rage against tomatoes. Like a movie character with a vendetta, minus the murder. The point is, she’s extreme about it. She instead insisted that everyone could replace the ketchup with either ranch dressing or avocado, which according to her, are the more delicious alternatives to “the red devil vegetable”. And after a billion complaints about the whole ketchup embargo situation, people started to really warm up to the whole avocado-rather-than-tomatoes situation. Especially me. I am also not the hugest of tomato fans. 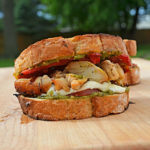 Which got me to thinking… I had a recipe for a caprese-style grilled chicken in the works, but what if I replaced the tomato entirely, and used avocado instead? 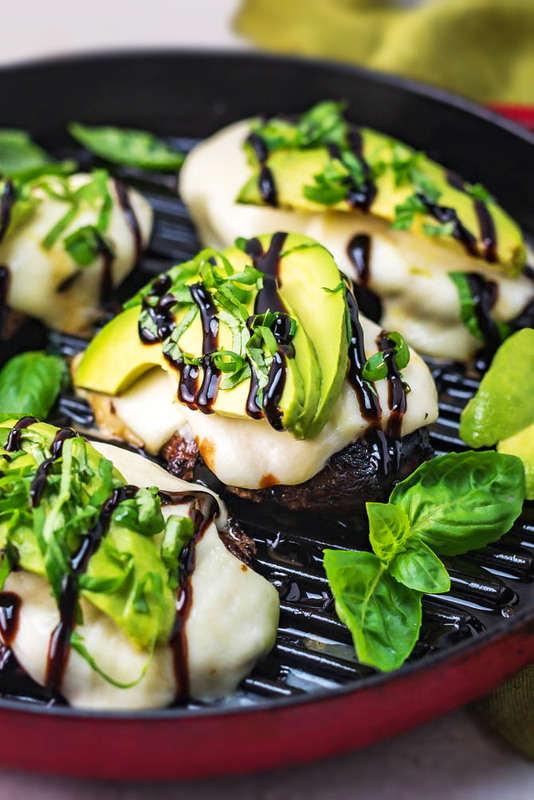 And that’s how Grilled Avocado Balsamic Chicken was born. 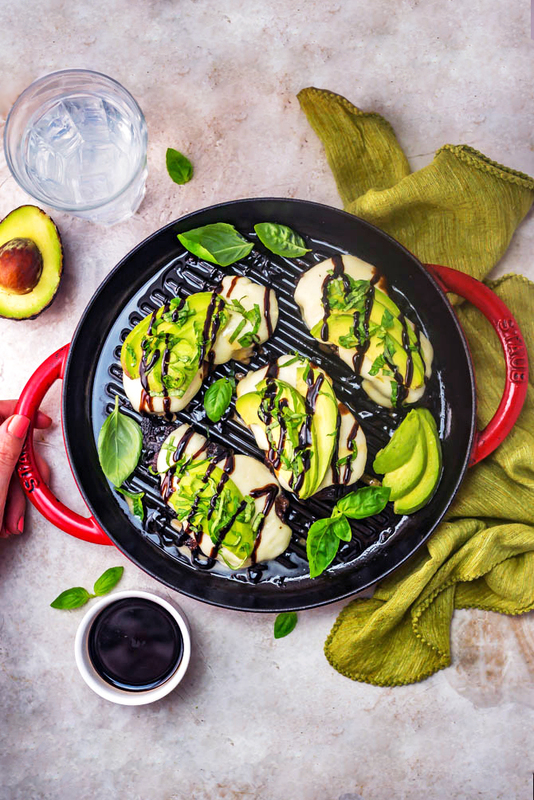 The smooth and rich avocado balances the more sweet and sharp vinegar flavors of the marinade to create a pairing that, if I’m being honest, is tastier than a traditional caprese. At least I think so, and I have a hunch that Jackie would agree. 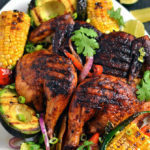 The marinade, which consists of balsamic vinegar, olive oil, garlic, Dijon mustard, honey, and Italian seasonings, keeps the chicken moist and flavorful throughout the grilling process. 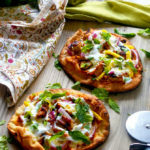 It actually is so good that I’ll be using it to make grilled chicken in other ways– for topping grilled pizzas with, stuffing into sandwiches, and rolling up for wraps, for example. I keep saying to myself that it’d be perfect for lunch meal prep for the week with a little rice and broccoli on the side, even. Though my favorite way to serve it, of course, is blanketed in big melted slices of fresh mozzarella. Nothing beats that. As is the case every time I test, photograph, and make a video for a recipe, James and I ate probably a century’s worth of Grilled Avocado Balsamic Chicken this past week (to the point that we’d usually be begging to eat anything different), but now that we’re all out of leftovers, I’m finding myself craving it. 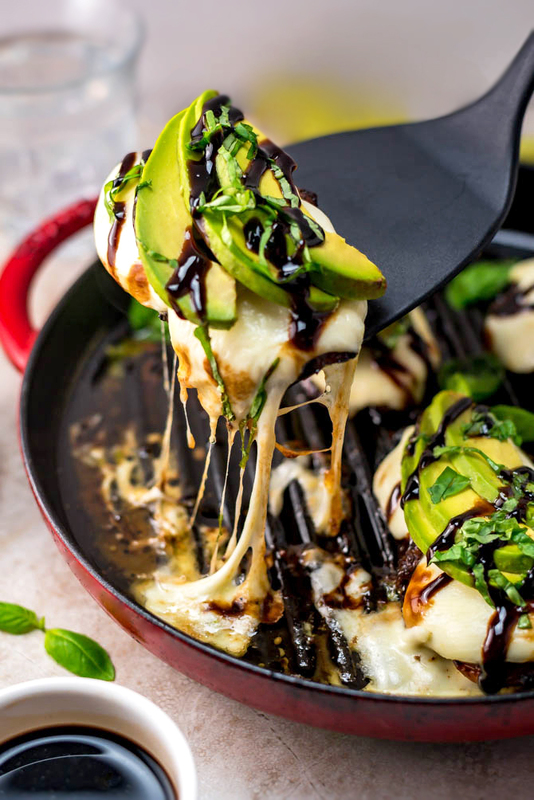 It really is one of those dishes that you can’t seem to get tired of, and as long as you have avocado-lovers in the house, it’s going to be eagerly eaten time and time again. 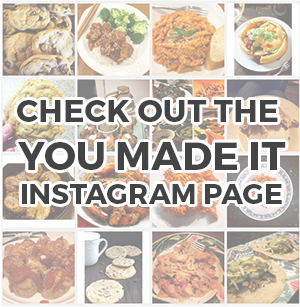 By the way, if you want to make it when it’s getting chilly out, you can always make it on the stovetop in a grill pan like the Staub one I’m showing off in these photos. You can get the same one here! In a large bowl, combine the balsamic vinegar, honey, Italian seasonings, mustard, garlic, olive oil, salt, and pepper. Whisk to combine. Add the chicken breasts and toss to coat in the marinade. Allow to marinate for 30 minutes. Clean and oil the grill or grill pan. Heat to medium high. 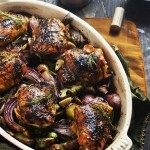 Grill chicken until internal temperature reaches 160ºF and no pink juices remain, about 5 minutes per side. Top with mozzarella and cover to melt, about 2 minutes. Transfer to a plate. 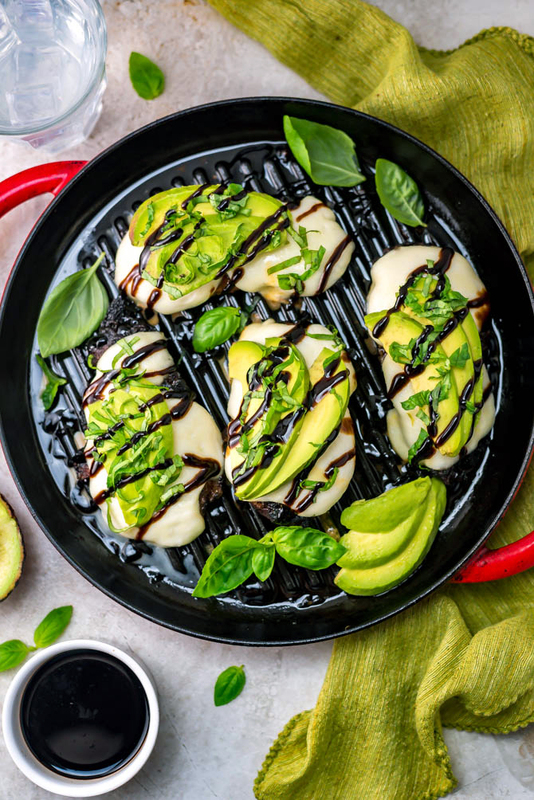 Top with avocado, basil, and drizzle with balsamic reduction. Serve.